Aalayam - Colors, Cuisines and Cultures Inspired! 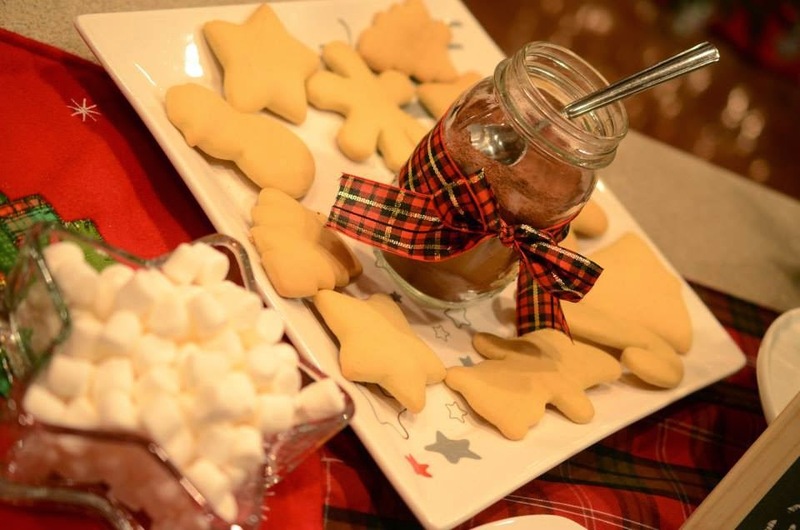 : 'TIS the season - host a holiday hot chocolate party! 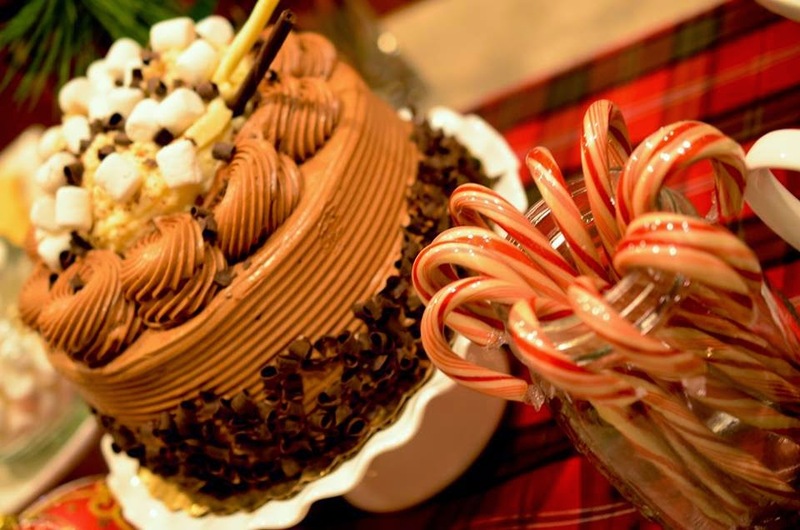 'TIS the season - host a holiday hot chocolate party! And tonight we bring you the first of our holiday season posts. We are getting a head start so we can share our holiday inspirations early and in time for you dear readers! In fact, we will toggle between our holiday season and regular programming since we have so much to share! Have temperatures dropped in your neck of the woods yet? We had our first real snowfall last night and this morning it was beautiful outside! Nature had painted an idyllic canvas in winter white! No, I don’t have a soft spot for winter. Not after last winter! And yet, there is so much to look forward to this time of the year – twinkly lights, sleigh bells, snowflakes and hot chocolate, it is hard not to get excited! 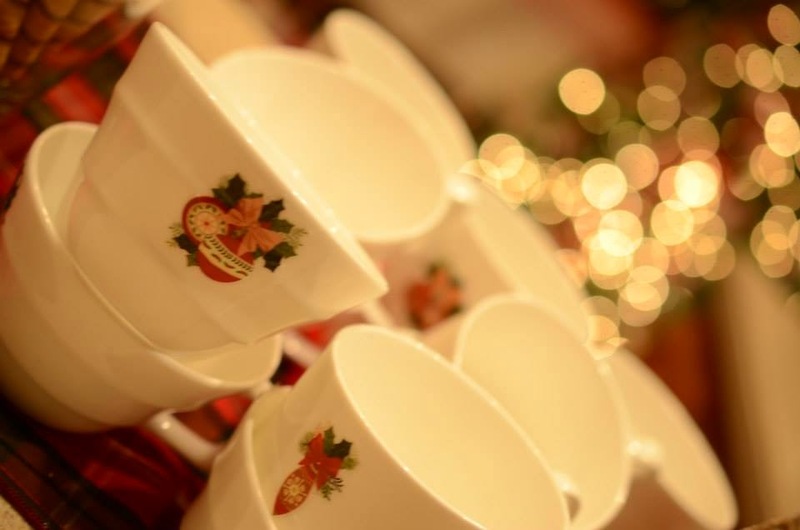 For those of you planning to host a holiday party – this post is essentially a Holiday how–to! 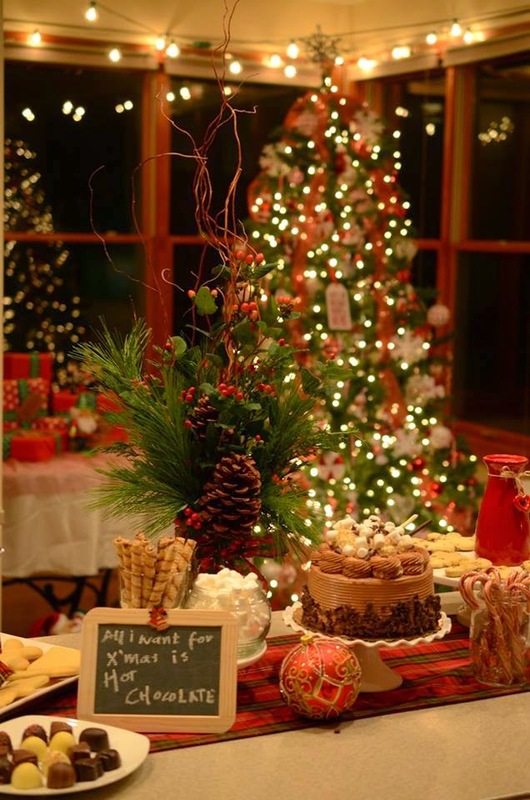 Here’s a fun idea for a winter party – a hot chocolate bar! Whether you want to include one in your holiday party this year or just set one up for a few friends on a cold wintry night – it is super fun and easy and as the host you can set it up without breaking a sweat. Of course, you can make it as elegant or as elaborate as you want or keep it low key, like I did. With temperatures dropping, your guests will love a crackling fire and a mug of warmth and this is a great way to indulge in the spirit of the season! Here’s what you need for your cocoa station! 1) I wanted to use what I had and so I used my regular coffee cups (I know!) but I gave mine a holiday twist by embellishing it with holiday themed stickers (from the local craft store) and they worked perfectly. Alternately, you could just buy holiday themed mugs. 3) You could even spice things up a little – no really! How about some cinnamon? 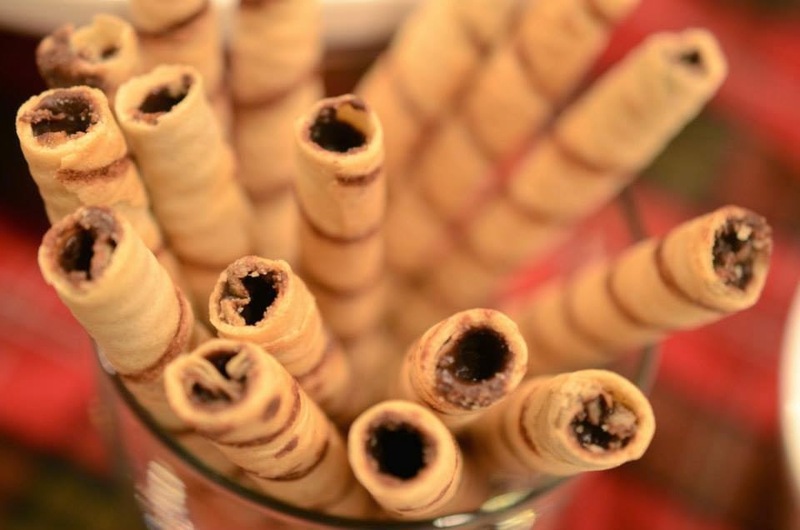 4) Add a twist for some extra fun! 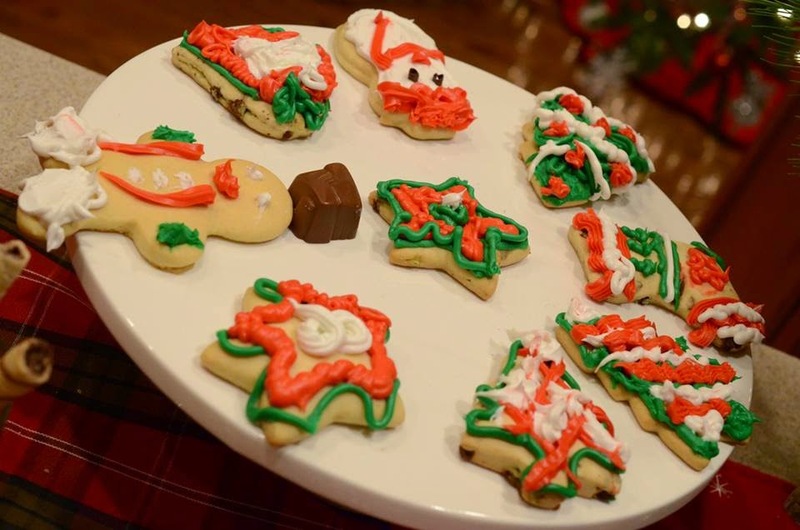 A friend of mine baked some cookies and together we decided we would let all our guests wear their creative hats and decorate the cookies in holiday colors and what fun it was too! 5) Get in to the holiday spirit– Write something fun on a chalkboard! I love festive signboards! I also used red gingham ribbon on my mason jars and a matching runner to anchor the decorations. I also used a floral arrangement that included some red berries and pinecones for a seasonal feel. A shiny bauble in a gorgeous red and sparkly gold completed my décor! 6) End on a sweet note! I included a heavenly chocolate butter cream marshmallow cake, which was a nice compliment to the hot cocoa. And there you have it - a simple and easy holiday party idea! Well I hope this post makes transitioning into the colder months a little easy and inspires you to start planning your own fun holiday activities. As always, we love to hear from you and in fact if you know of any fun holiday party themes do let us know and we can share it with the Aalayam community. And now, an announcement-We picked a winner for our TJ MAXX home goods gift card giveaway (which we had announced in our Diwali post). Initially, we were going to limit it to new members or existing members who introduced new members to the Aalayam community but since the response was limited, Supriya and I decided to include readers who commented in the last 4 posts as eligible entrants. Congratulations, Radhika Thampuran!! You are the winner of our giveaway. Please email your contact details to aalayaminspiration@gmail.com so we can mail you the gift card. P.S: All images in this post are from my home and taken by my husband. Please do not use without permission. Aah! see as much as I complain about the frigid temperatures I love living in the midwest (well, this is only my 4th winter here...). There is something about the changing seasons - each season is accompanied by its own unique set of rituals and nature too puts on its unique displays. I love setting up our outdoor furniture in the summer, raking the gazillion bags of leaves in the fall, and wearing snowboots and drinking hot cider in the winter...atleast for now! 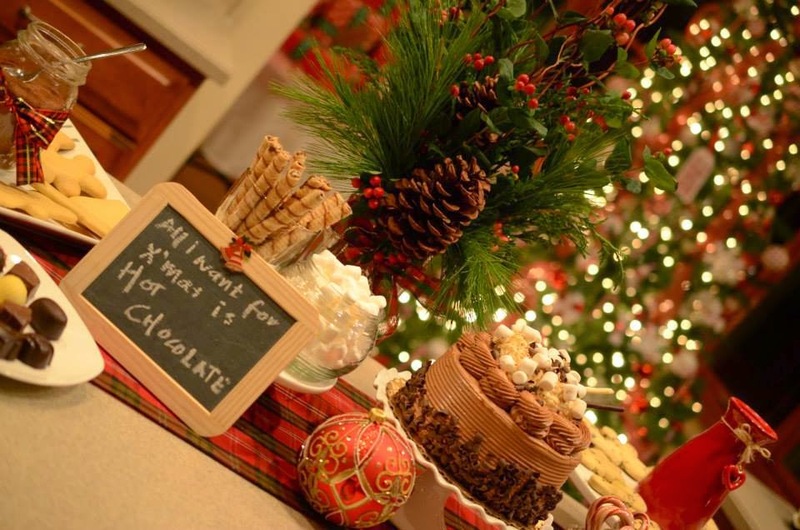 Nonetheless, set up a hot chocolate bar for your xmas or even new yr party -your guests will love the DIY part ! It snowed in my part of the world as well ;) I am completely in love with the hot chocolate party. Simple yet elegant. I bet your friends must had a great time. They sure did! This was my holiday party form last year. The cookie decorating part was a lot of fun too. We were all novices and had a hearty laugh at our botched efforts. The kids did better than us actually. Thanks for commenting pinkz passion! Indeed. You should try it! and thank you - my wonderful husband is the one that captures all this so beautifully for me! stay tuned, we have more holiday posts coming up including one on my decorated tree in all it's tinsel'd glory! Living out here even we get to see and hear on snow in Himachal and Kashmir only on TV..... Yet the holiday season anywhere is a wonderful idea and your deco and pics just added more zest to it! Looking forward for your future post and keep us inspiried . Hey Btw, Have a wonderful Thanksgiving! hank you Vaibhavam for taking the time to comment. That is the hope and goal - to keep you all inspired. Our folders are brimming with ideas - we will bring them to you slowly but surely! Thanks again and a very happy holiday season to you as well. 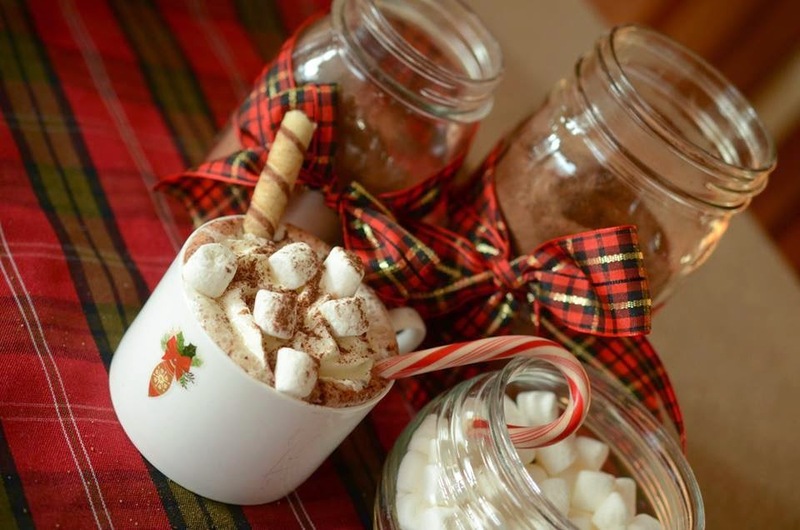 It’s a great idea to organize hot chocolate holiday party especially with friends. I just love your food menu, and my favorite dark chocolate is also there. Yeah holiday parties are best time to have great fun with our family members and friends. Hot Chocolate party!! Such a fantastic idea..
a hot chocolate party any time of year sounds fun:)) both my kids have summer birthdays...so maybe this time I'll have a cold chocolate party for the little one,the older one is all grown up now...or so he likes to think:))! love reading your blog Aalayam ladies!